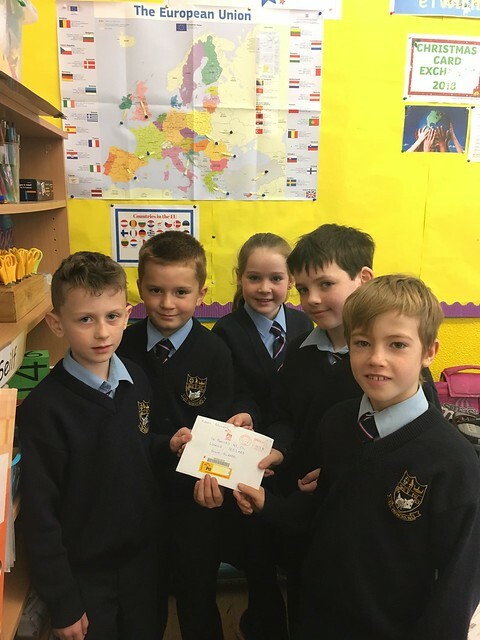 3rd class had a great opportunity recently when CB Media visited the classroom to record a video about their eTwinning Christmas card project. 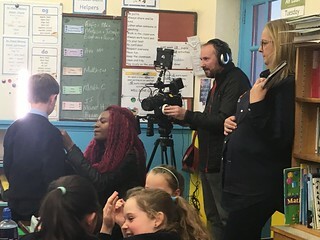 It was a great experience for the children to see the cameraman in action as well as learning how to look into the camera when speaking. Click here to see the video. 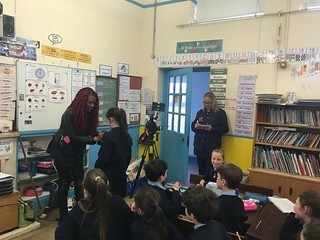 It was very exciting in 3rd class on November 13th when CB Media came to make a video of the children working on one of their eTwinning projects. 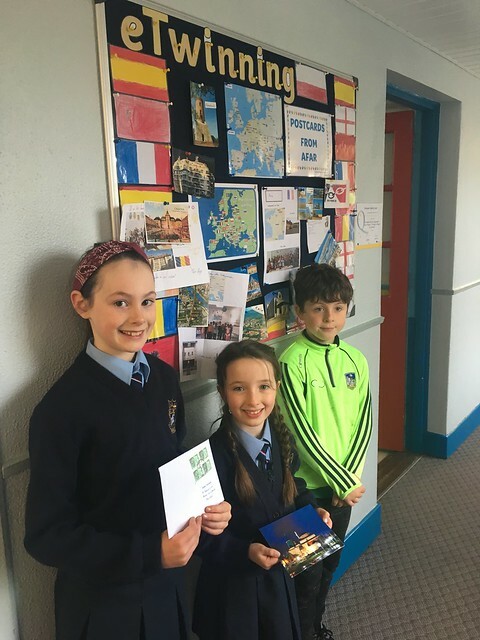 This is a promotional video comissioned by Léargas and it will feature the work that the children do on their projects as well as an interview with Mrs Murnane about how she integrates eTwinning into the everyday curriculum. 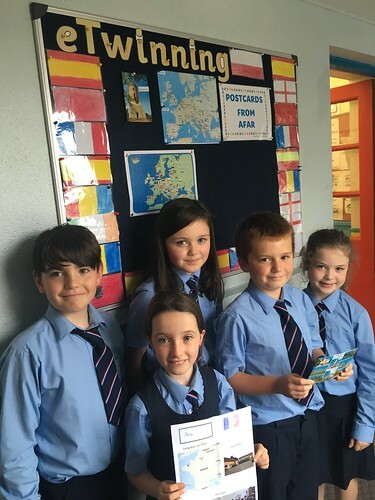 There was also a short interview with some of the children asking them what they like about eTwinning and with Ms Conmy, our Junior Infant teacher as she will soon begin her first eTwinning project. 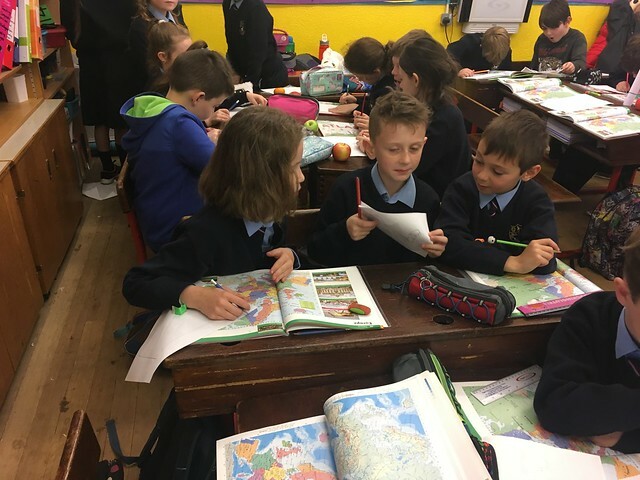 This was a great opportunity for the children to see what is involved in making such a video, and was also a great platform for them to showcase the work involved in eTwinning projects. The Children chose to feature their current "Christmas Card Exchange 2018" project. For this project, they are teamed up with 11 other schools throughout Europe. 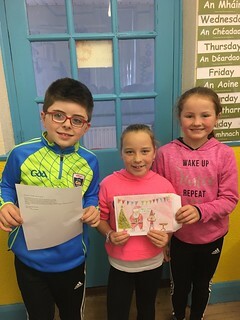 They have written letters about Christmas in Ireland as well as making a Christmas card to send to each of the schools involved. It is very exciting when the cards arrive from the other schools and we are having great fun trying to read some of the Christmas greeting in the other languages. 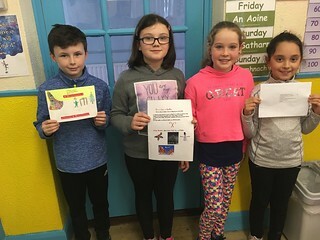 Another feature of the project is that the group is creating an online picture dictionary, so 3rd class put in the Irish words for each of the pictures featured such as Crann Nollag for Christmas tree, Nollaig Shona duit for Happy CHristmas etc. There is still more work to be done on the project as they will have to create some Christmas themed games for the other schools involved and will also be recording a greeting for them. Postcards have been arriving from around Europe. It is very exciting to receive each new card and to learn a little about each class in our eTwinning project. 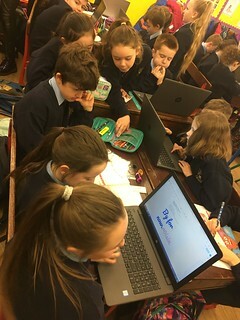 The newest eTwinning project in 3rd class is now gaining momentum as pupils are planning their cards that they will send to the partner schools. 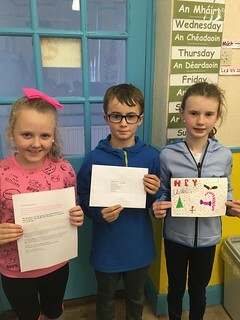 We are partnered with ten other schools for this project and pupils will work in groups of three of four to make a card and write a little about our school to include with each card. They are also preparing a Christmas Banner that will be sent via the eTwinning Platform. 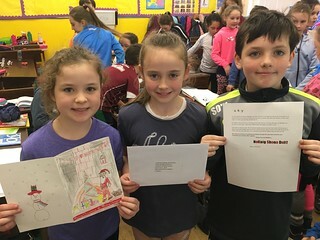 Part of the project also involves telling the partner schools about CHristmas traditions in Ireland and we in turn will learn of the Christmas Traditions in other European countries...Busy times! 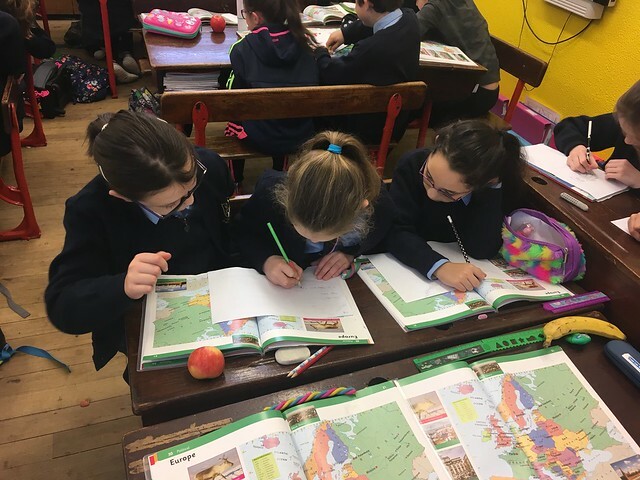 Exciting times in 3rd class...pupils were busy writing a postcard to each of the 37 participant schools in their eTwinning project "Postcards From Afar". 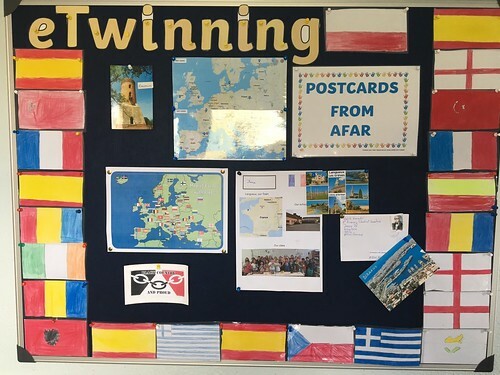 Pupils made flags of each of the participating countries to decorate the eTwinning notice board and there has been great excitement when each new card arrives.